Top Security Locksmiths is your one stop for all of your Security Needs. Never answer your door without verifying who is there first. Intercoms are a revolutionized form of communication. Since the invention of the intercom in the 1950’s, it has become easier to deliver verbal messages to more than one person. Intercoms enable communication within homes and offices, as well as outdoors if needed. 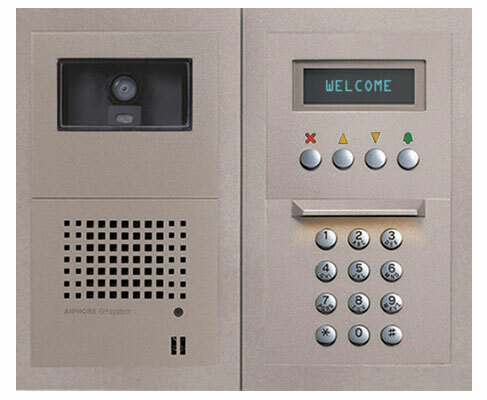 Intercom systems are a form of access control, therefore it guarantees security. There are different types of intercoms and here at Top Security Locksmiths we install any intercom. Some intercom systems are more complicated than others, that’s why you need a professional locksmith to install your intercom in New Jersey. Most intercom systems are wireless, which means they don’t require a power outlet. Door phone intercoms and telephone intercoms have audio circuits that enable communication. Door phone intercoms are commonly found outside of apartment and office buildings. These intercoms allow “talk back” communication between apartment residents or authorized office personnel and their visitors. Similarly, video intercoms allow indoor and outdoor communication, with the additional feature of video surveillance of outside visitors. This device is a form of access control in that it gives you authority over who enters your residence or office. As a result, the safety of your home or business is ensured. Telephone intercoms provide a more direct way of contacting someone. With just the press of a button, users can automatically speak to others on the intercom line. The different channels on the intercom permit private conversations between persons. Top Security Locksmiths does all types of intercom installation in New Jersey for your home, building, business or office we got you covered. Some of the brands of intercom we carry: Aiphone, Door King, Keri, Tektone Apartment Intercom Systems and Mircom Apartment Intercoms. Call our professional locksmith / electronic security technician in New Jersey.